Before the phenomenal success of the Baahubali franchise, Telugu superstar Prabhas had a 15-year-long career, with almost as many films, in which he reprised the role of the soft romantic lead in movies such as Mr Perfect and Darling. Then, for five straight years, he immersed himself in SS Rajamouli’s epic. He learned sword-fighting and horse-riding, and convinced audiences that he could wrestle bulls with his bare hands and scale elephant trunks like it was nothing. Since the release of the two-film saga, he’s become a household name across the country, and inverted traditional Bollywood and regional cinema hierarchies. Prabhas dreams of fishing. One day, when the film industry finally gives him the boot, he’ll buy a plot outside Hyderabad, rope in a few old friends and put to work the aquaculture tricks he studied in school years ago. But for now, he’s South India’s biggest star since Rajinikanth – and Tollywood would rather he stay just where he is. Today, that’s sun-drenched Los Angeles, where the star is on vacation from shooting his new movie Saaho, a brooding trilingual thriller co-starring Shraddha Kapoor and Neil Nitin Mukesh. I meet Prabhas at a rented Beverly Hills mansion he’s sharing with his personal trainer, a body-builder and former Mr World, and his pint-sized chef – also his cousin. I’m led inside the capacious cube of glass and steel, and the first thing I notice is a large bag of Tilda basmati rice directly across from the entrance. Life has been good for the star since the wild success of the Baahubali franchise, the priciest Indian film ever made. The thunderous two-part epic grossed over ₹1,500 crore in less than 50 days, redefined what was possible for Telugu action movies and shook rigid pan-Indian cinema hierarchies. But Prabhas himself, the face of the phenomenon – who tosses a life-sized lingam over a sinewy shoulder in one memorable scene – feels familiar. Despite being one of the Telugu film industry’s top-paid actors (he copped a pretty ₹45 crore from both Baahubali films), Prabhas is a man who worries – about his future, his fans and how the hell he even got here. At 38, Prabhas is something of a late-blooming superstar. For 13 years, he played the hero in schlocky action romances with this basic storyline: Hero meets Girl, Hero encounters Goons, Hero fights Goons (because, as Hero’s luck has it, his enemies are one degree separated from the girl) and eventually – but never before a good fight – Hero wins over Girl. But even arriving at those roles – the Mr Perfects and Darlings – wasn’t always easy. Born to a movie producer and a housewife, Prabhas grew up in Hyderabad with the industry at his doorstep, but more often sitting in the living room. Growing up, he recalls, his father, Telugu producer Uppalapati Raju, hit financial troubles “like most producers do”, and at times money was tight. Tight enough to leave 2017 Prabhas with some squarely middle-class memories. Prabhas was 18 when he told his father (by then no longer a producer) and his uncle (legendary-actor-turned-BJP-minister Krishnam Raju) that he wanted to act. No one expected him to join the family business; yet, just like that, the self-effacing “shy guy” (his words) enrolled in classes and learned how to act, dance and fight. Perhaps it’s that old-school South Indian ethos that guides Prabhas, who at no point during the evening seems anything but genuine. Sure, the guy might party in Los Angeles, shoot movies in Bulgaria and go on safari in the Kenyan Serengeti, but his roots in Andhra Pradesh’s leafy, sleepy West Godavari district run deep. He recalls a family tradition of travelling to the temple town of Srisailam when his father and uncle were still in the business, to screen every film before its release. The film that inspired him to take up acting was the 1976 Telugu classic Bhakta Kannappa, which traces the life of a Shiva devotee, played by his uncle. When he began making a name for himself, it was his Telugu-boy-next-door charm, his stature and his strength that attracted audiences. And while he insists it wasn’t a conscious decision, a great number of characters he’s played have been solid, honourable or dutiful. (In one classic fight scene in Chatrapati, also directed by Rajamouli, a beachside Prabhas clobbers a gangster with the same vessel of gangajal that the hero’s long-lost mother had gifted him.) Yet, to the industry and his fans, he is simply “Darling”, after his eponymous 2010 drama. There are actors who attribute their success to craft, and others who attribute it to luck. 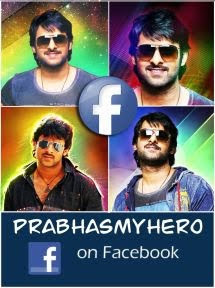 Prabhas falls into the latter category. When SS Rajamouli approached him with a double role in the ambitious, audacious Baahubali franchise, he was wary. Nothing of Baahubali’s size and budget had ever come out of Tollywood’s risk-averse studios, and Rajamouli expected an exclusive five-year commitment. Not to mention the militant physical training he’d have to undergo. Prabhas did not want to repeat the mistakes he’d made earlier in his career by agreeing to vaguely defined films that eventually failed. A long-unspoken rule of Indian film is that while Bollywood speaks for India, every regional film industry speaks for itself. Bollywood heroes are fitter, taller and fairer. So what does it take for a Telugu film, with a very Telugu star, to become an Indian sensation? Rajamouli had plans for epic graphics and expensive battle scenes, but Baahubali would never have worked unless the male leads transformed their bodies. Prabhas, who says he’s notoriously lazy when not working (“I think I stored all my energy for Baahubali”), and the other actors, including Rana Daggubati and Anushka Shetty, threw themselves into a fitness regime that became the stuff of film lore. Prabhas gained 20kg of muscle for his role, worked out for as much as six hours each day and, according to reports, ate 40 egg whites daily. The mania around Baahubali makes little sense without accounting for how Prabhas’ physique defied the expectations of an industry whose biggest actors are notoriously ageing and paunchy. The box office success of the first chapter, which released in 2015, piqued the interest of Bollywood powerhouse Karan Johar, who purchased the Hindi distribution rights for Part 2. On message boards, in movie reviews and across social media, aficionados of Telugu film have likened Johar’s investment to a revolution of sorts, a southward shift in the centre of gravity of Indian film. But whether the larger currents of Indian cinema have truly shifted or not, the star of Baahubali seems to interpret his success as an accident of fate. He still has a back-up plan. He’s content to remain “Darling”. Throughout our conversation, Prabhas was reluctant to say much about himself. It’s something of a trade secret that if you want him to talk, you ask him about the man he credits for all of this – Rajamouli. And in a way, it’s easier to picture the South Indian superstar whale-watching in California, surfing Nat Geo on TV or even watching the day unfold at a fishery, than jabbering on the couch of Koffee With Karan. Baahubali lets out a great big laugh.